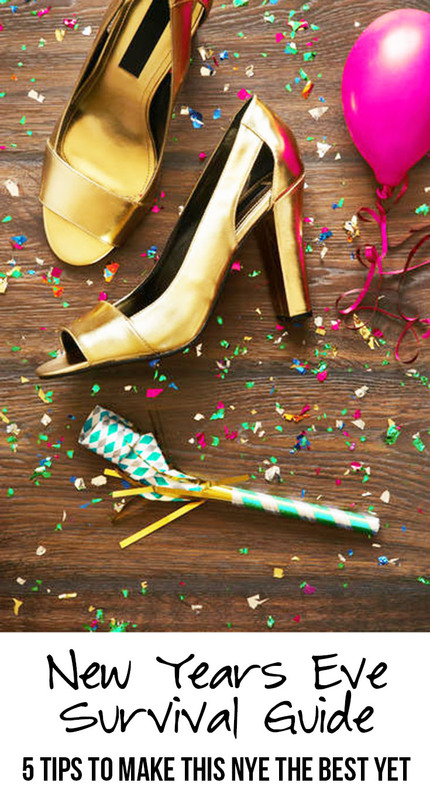 New Years Eve Survival Guide - 5 Tips to Make This NYE The Best Yet! Can you even believe it's almost time to celebrate the new year? I know I can't! With only 31 days left until NYE, I feel it's fitting to share my sure fire tips to make this NYE the best one you've ever had. Whether you plan on spending the night in the club with your girls or having a few cocktails around the fire with your darling little family, I'm sure we all have something planned this year and I'm super excited to celebrate 2015 in a big way! 1. Avoid a hang over at ALL costs! 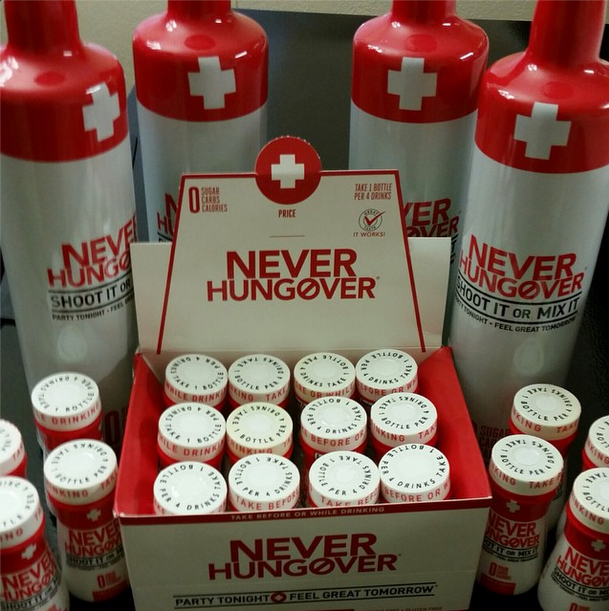 NEVER HUNGOVER is the cure to drinking ails and with zero calories, zero carbs, and zero sugars - it's the best product on the market! 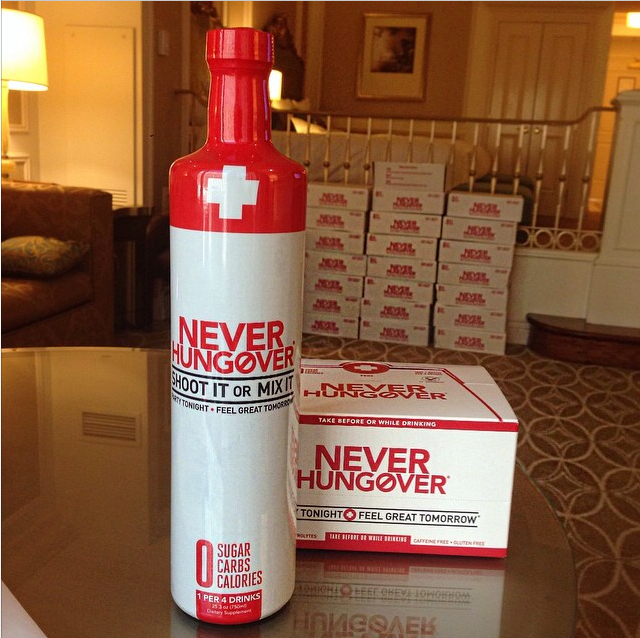 As long as you drink 2oz of Never Hungover per 4 drinks, the first day of 2015 will be full of cheer instead of regrets of beer! 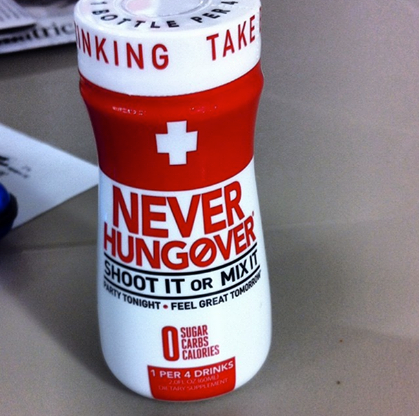 You can get these little guys on the Never Hungover website, Amazon, and in stores at GNC. Not only do these little shots of love actually help, they taste great! Lauren Conrad, Paris Hilton, and other celebrities swear by these shots and now you're in on their little secret. Grab a pack for you and your friends so that you can head to yoga class on day 1 of 2015 instead of regretting the drinks you indulged in on the last day of 2014. 2. Dress fabulously! Wear something you love, something that really makes you feel like a star. It's the last day of 2014 and the first day of 2015, you better ring it in with some style! Even if you are just spending the evening in with your kids, play dress up as a family and wear your fanciest attire! It's fun to take the time to dress up, no matter the occasion! I am wearing a black lace long sleeve mini-dress and some new black booties. What will you be rocking to ring in the new year? 3. Hire a Driver! You could even volunteer to be the DD, just don't drink and drive! It's not worth putting yourself or someone else at risk. There are even services that offer free rides in most cities; so plan ahead and look around your city for this service, call a cab, call your mother, just don't drink and drive! 4. Use the Buddy System! It may sound silly but using the elementary school "buddy system" is a good way for girls to stay safe. We all know there's a risk when going out and having a few drinks, be sure to appoint a "buddy" to watch your back and your drink while your out. Whether your "buddy" is your spouse or your best gal pal, be sure to look out for each other! Not only can you party safely with a buddy, now you you have someone to make sure you aren't having a wardrobe malfunction, smiling with a hunk of spinach in your teeth, etc. 5. Play Paparazzi! This should be a no-brainer, but be sure to document your evening! You'll want to look back on this epic NYE and remember how much fun you had! Use your cell phone, your digital camera, etc and have fun with it. I'm notorious for my "photo shoots" with family and friends because I want to document all the little bits. It's just fun! New Years 2015 is going to be epic!! I can't wait to party in style, while staying safe, and now I'll never be hungover again!